We are Minneapolis’ and Rochester’s professional movers ready to serve your local or long distance home move. From office moves to employee relocations to specialized transportation services, we offer solutions that are professional and cost-effective. Metcalf Moving & Storage is a professional Minnesota moving company with offices in Minneapolis, MN, St. Paul MN, and Rochester, Minnesota. 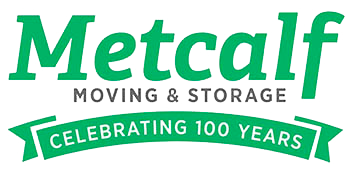 Since 1919, we have specialized in the moving and storage needs of families and businesses. We offer a variety of household and commercial moving services. Whether you need a local move in the Minneapolis, St. Paul, or Rochester area; a move within Minnesota; or a long-distance move, we can help. We have been a consistent recipient of quality awards, thanks to the dedication, knowledge and experience of our company-wide staff. The awards we have recently received from the Better Business Bureau, JD Power & Associates, and Mayflower Transit highlight our focus on providing quality service. Long distance movers from Minneapolis, MN, St. Paul, MN and Rochester, MN have relied on Metcalf Moving & Storage and Mayflower to ensure their moves go smoothly. Whether they moved to Los Angeles, Miami, New York or anywhere in between, their items arrived on time and in the condition they were in when they left. Some of the things we hear most often about our professional moving team includes “great communication”, “very friendly”, and “on time”. To learn more about our residential long distance moving services, click here. It may be to the next city, or just across town, but a local move can still be stressful. As your local moving company in Minneapolis, St. Paul, Rochester MN, and the surrounding area, Metcalf will take on as much or as little of your move as you need. Our goal is to make your moving experience as pleasant as possible. We will help you pack and unpack your belongings, or just load and unload the truck. If you need local storage, we have a state of the art storage facility as well. Read more about our local moving services in Minneapolis/St Paul or Rochester MN.